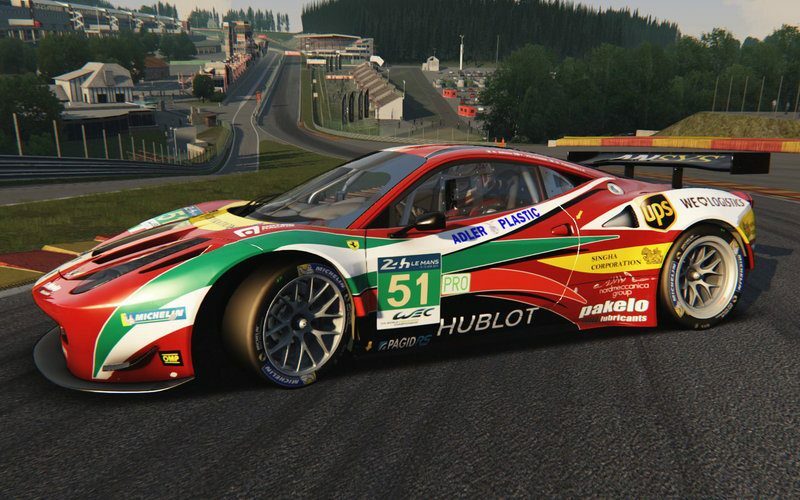 In a recent interview with Red Bull Games, Kunos Simulazioni’s Marco Massarutto revealed details on the upcoming Bonus Pack for Assetto Corsa. For more on Assetto Corsa’s future, check out the full Red Bull Games article. Zandvoort for free! That is certainly something to look forward to! Wow, they are really working hard to bring the players new content. Assetto Corsa is the best bang for the buck at the moment. And still there are people complaining about why the DP1 (with the full laser scanned Nordschleife!) isn’t free instead beeing happy that the pack only costs 9,99€ if you pre-ordered. And Even 14,99€ is a fair price. I hope the new Dream Pack will be additions to already released cars. I mean … there are no real competitors for some cars. Something like a new old-DTM car (Audi?) to got with the M3 E30, E190 and the Alfa Romeo (and the Ford if you are into mods). Or another GT3 car. More group C cars for the Mercedes and the Mazda. As much as I like GSC (or whatever it is called now): It is more for people who would like to drive some exotic cars (from a european point of view) on a outdated engine. But kudos to them for pumping out so much content for free. The only thing outdated about GSCE is its graphics engine, but everything else is at least up to par or exceeds most other platforms. And its not for people who like to drive exotic cars, it’s for people who want a realistic, complete no-nonsense race simulator with good physics, FFB, AI, netcode and mature league support. Nissan GTR Nismo ? Isn’t a free car in the bonus pack? ZandVoort is an insane track and a nice contrast to other tracks in the game so should be fun ! Thanks for the tip. I didn’t know as I haven’t touched rf2 in a long while. Although I did do the Steam conversion. Looks like a blast though. Did they say anything about how they’ll go about preventing the community from splitting into small chunks with the paid DLCs? For example, from what I’ve heard currently I can’t play with others if they’re running with DLC cars I don’t have. Ideally all content should be available in everyone’s client, the game should merely limit access to it. That way everyone could play together, the game client could load all cars, even if I can’t select them. There’s a whole galaxy of difference between Kunos’ DLCs and iRacing policy… You cannot even compare the two. For stuff you’ve got in AC you would pay tons of $$$ in iRacing. Just remember 90% of the community don’t race on-line. And that number will only increase after they release who knows how many other DLCs (which is absolutely fine) and nobody will be able to play with each other unless they all bought every one of them (which is absolutely not fine). I keep hearing that statistic, but I don’t know the source, and I don’t buy it. Maybe 90% of everybody who ever bought a driving sim (including consoles) never went online, but I don’t know any serious sim racers who *aren’t* online at some point. And iRacing’s business model never would have worked. The iRacing business model actually confirms the statistic. Why is iRacing so much more expensive than AC? Because it is limited to on-line racers, it only has a membership of 50,000. AC and other sims with AI sell in the low hundreds of thousand so they can be much cheaper. But which sim has the most people on-line? iRacing with its 50,000 members or AC with its 250,000 sales? Answer – iRacing, indicating that only a small minority of ACs 250,000 customers race online. I’m afraid you’ve got it the wrong way around: the reason iRacing is limited to 50K members is beause they charge for their service. Sim racers are notorious skinflints. Like most netizens, they think everything online ought to be free (especially DLC). URD is dying on the vine because they have the temerity to charge ten bucks for a pretty impressive roster of DTM supercars. And the idea that 50K players represents 10% of the sim racing community indicates the overall size is half-a-million. No racing simulation has ever posted that many sales (unless you include Gran Turismo), including Papy’s own NASCAR Racing. Grand Prix Legends sold less than 30K…back in the days when sims (including flight sims, about which I wrote the definitive book) were hot properties. I doubt that hard-core sims today sell more than 50K each…which is about the overall size (unique users) of the hard-core sim market, IMO. By your logic, that would mean there only about 5K online players per game. In fact, there are more like 10K to 20K per game, or somewhere between 20% to 40% of the total market. 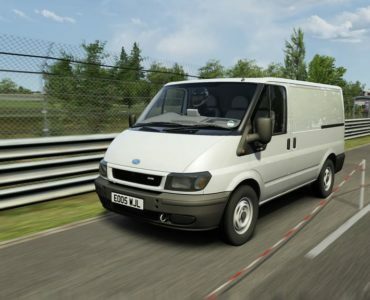 Among the front-rank sims today, rFactor2 is crippled by having to limp along as a work-in-progress, Project CARS has been hijacked by console fan-boys (go to the forums and read the press releases if you don’t believe me), GSC Extreme is constrained by being marketed chiefly to a small Latin-American road-racing audience (and by pre-Columbian graphics). 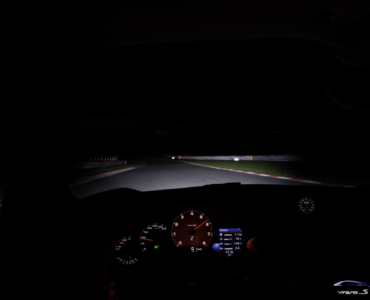 And Assetto Corsa is being hobbled by having extremely limited online capabilities. Finally, if it is true that online racers only amount to 10% of the total, then it would stand to reason that heads-up developers would spend 90% more time on AI. But they don’t. I was in one major studio the day they developed the AI. The one day. (Of course, they only spent a couple of weeks on the online component, but still….). Quite happy with the content I have so this is just icing! Thanks Kunos!! Zandvoort extremely welcome. One of my favorite sim racing tracks. Given the insanely good value of the last Dream Pack I am really looking forward to that as well. Personally I would prefer to see the other Dutch car and bike racing track, TT Circuit Assen. Zandvoort is a bit overdone. Like Spa Francorchamps is overdone in comparison to Zolder when it comes to Belgium tracks. I just wish to drive something else that is, in the sim world, a pretty unique track. The only sim party to have licensed TT Circuit Assen is Simraceway, but that’s probably my least prefered sim to play. You mean what they did to the part after the S-Bocht by basically removing the Madijk loop completely? Yeah, that was a stupid move and every pro driver in a car or on a bike agrees. Every fan as well. At least from what I hear. The track became smaller and smaller through the years, sadly. Which seems to be a trend it seems, a painful one that destroyed Hockenheim in my opinion. I just want to drive a different Dutch track, that’s all. The ’67 Zandy in GPL was the gold standard. As was the chicane-less Imola. And Rouen. And Le Mans. And Kyalami, And Silverstone. And Suzuka. And Monza. I’d argue Zolder is overdone. Zandvoort hasn’t been done properly in any game really. Can’t justify it and i don’t have the time. Take a look in the AC forum, there’s a scratch made mod of Assen being worked on. Thanks for the tip. Will have a look. ‘Aight, who the heck is dreaming about that boring soulless track that is Catalunya? I say we track ’em down and get him! Doesn’t F1 test there because it’s a versatile track? Yes, and because it puts the F1 tires under great stress. It is a fun to track to race, but it produces boring F1 races more often than not. Lower categories, like GP2, never fail to deliver though. It’s fun in an F1 car at least. Hopefully they include the layout without the terrible chicane. The track was killed for be because that chicane addition. No passes on the front straight thanks to it. 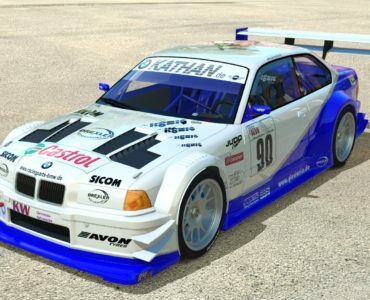 I raced a lot in the catalunya track when I was playing ps1 toca world touring cars, and I remember was a challenging track with some corners difficult for me, when you don’t have any track racing experience, but I remember it gave me enjoyable races. I haven’t raced this track since then, but I hope the chicane version won’t ruin it, though apparently it has already ruined most say. As I also remember that last corner was great for winning the race on the final straight, something like mugello is too nowadays, it has a curved corner into a long straight. Maybe Kunos can give us two versions, one more classic like in the good times of F1 racing from the 90s (I think), and one from modern times, depends on their licensing deal. Just hope this track won’t get ruined and forgotten, even in video games. Let’s lobby Kunos to make available the no chicane version. The actual track is still there, so it’s just a matter of opening up the road and move some cones (of course it’s more complicated than that, but still). 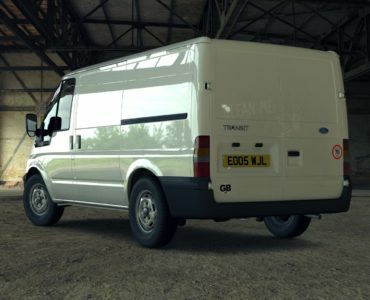 Or maybe some modders can come up with a variation. If I recall, GT cars and Motorcycles still race that version. Chicane totally ruined that track for me… I don’t drive it at all. I found the track pretty good for most different cars, from GTs to small formulas. Very nice flow and good combination of different corner types. Unfortunatelly, the last section chicane totally KILLS the track oportunity to pass on the front straight. I remember the GTR2 times, it was a fantastic section to drive, screaming on that last turn on that right hander double turn. I hope they include the 90s version and the modern too, but I had to search for a video to see how the last chicane is, after some many comments. Is it that bad in terms of racing? See the video below from onboard perspective. They still use the old layout (until 06) for bike racing, so I hope they’ll include both as I don’t like the 07+ version… it kills the flow I think. lol i found an empty box in the comments!!!! Well, I may be in the minority but I actually enjoy Catalunya. There’s a mod version of it available that I like, though it’s not without issues. You are in the minority :p. BUT, as much as I don’t really like the track absolutely at all, in games it can provide fun racing on certain cars. See? I was able to be kind… kind of. if you want Multi play iRacing or R3E . Single-player only works when (and if) the AI works. The AI in AC is pathetic, more like bumper cars in an amusement park than the worst drivers I ever encountered in the SCCA. Hoping for a couple of open wheelers as the ‘surprise’ of this DLC – Formula Rookie, Formula Vee, Skip Barber and CART Indy Cars! Hey – one can dream!!! So no Südschleife like they have been teasing us with on the track map on the select screen since Dream Pack 1?